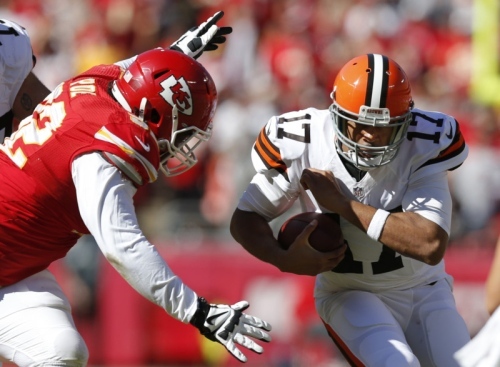 The Cleveland Browns lost to the Kansas City Chiefs on Sunday by the score of 23-17. It was the Browns third consecutive defeat, dropping them to 3-5 as the 2013 NFL season hits the halfway mark. Meanwhile, the Chiefs remained the league’s lone unbeaten team as they climbed to 8-0. More importantly, it was the sixth time this season that the Browns scored 20 points or less on offense. Apparently the Jason Campbell-led offensive revolution will have to wait at least one more week before it commences. We break down all the fun in our latest post at The Cleveland Fan.